AKRON, OH--(Marketwire - Feb 20, 2013) - BMO Harris Bank announced today that its Dealership Finance team is expanding into Ohio with the hiring of Brad Isaly as Vice President, Dealership Finance, BMO Harris Bank. Isaly will also cover Southeast Michigan and Western Pennsylvania in this capacity. "We felt there was strong demand in this market for a bank with our industry sector expertise and our ability to tailor financing to fit the needs of the dealers," said Ghram Debes, Managing Director and Head of Dealership Finance, BMO Harris Bank. "The financial needs of auto dealers in this region continue to grow, and we view this as a natural part of our expansion plans. Brad's local market knowledge, experience and passion for providing great customer service will be a key for driving our growth in the Rust Belt." The BMO Harris Bank Dealership Finance team already has offices in Chicago, Milwaukee, Minneapolis, Indianapolis, Tampa, Kansas City, St. Louis, Crown Point and Washington D.C., and has plans to continue to expand into new markets. BMO Harris Bank's parent company, BMO Financial Group, has been actively serving the financial needs of auto dealers for the last 35 years. 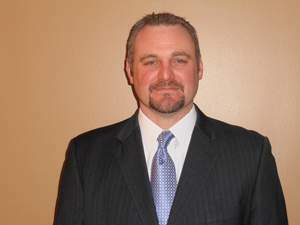 Brad Isaly has 13 years of Dealership Finance experience in the Akron market. He spent 18 years at FirstMerit Bank, where he rose to the position of Vice President in Wholesale Dealer Service, a role in which he was responsible for the ongoing management of dealership relationships, in addition to new business development. He is involved in multiple Regional and State Dealership Associations. Based in Chicago, BMO Harris Bank N.A. provides a broad range of personal banking products and solutions through over 600 branches and approximately 1,300 ATMs in Illinois, Wisconsin, Indiana, Kansas, Missouri, Minnesota, Nevada, Arizona and Florida. BMO Harris Bank's commercial banking team provides a combination of sector expertise, local knowledge and mid-market focus throughout the U.S. Deposit and loan products and services provided by BMO Harris Bank N.A. Member FDIC. BMO Harris Bank(SM) is a trade name used by BMO Harris Bank N.A. BMO Harris Bank is part of BMO Financial Group, a North American financial organization with 1,600 branches, and a retail deposit base of approximately $180 billion.